Your child’s birthday is coming up soon, and we would love for your friends and family to celebrate at PowerKids Center. 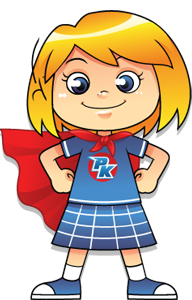 At PowerKids our specialty is fun, and what better way to have fun than with a party? You will agree we throw the best birthday bashes in town! Our professionals will coordinate with you to create and run a well structured celebration, jam packed with activities sure to make your event a memorable one. Sit back and relax while our trained instructors cater to your child and their friends. We guarantee that our party experiences are second to none! Available Saturdays after 3:00 pm and Sundays. Bring your own favorite foods, birthday cake, decorations, and paper products! Please fill out the form below. All fields are required. We'll get back to you shortly!